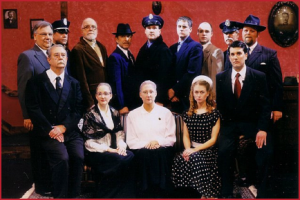 Since 2006, the Kettle Moraine Players (KMP) have been providing the Greater Kettle Moraine area with a wide variety of entertaining and engaging non-musical productions. As a traveling theatre company, KMP attracts talent from all across southeastern Wisconsin, and their productions have been staged in many fine communities, including Campbellsport, Fond du Lac, Kewaskum and Hartford. Community involvement and volunteerism have been the cornerstone of this creative organization since its inception. KMP prides itself on not only the quality of their performances but also the camaraderie and fun that is generated along the way. What began as a vision of founders John Brandl and Alan Venturini has grown into a well loved community theatre group. John directed high school musicals in Campbellsport in the 1980’s and 1990’s, some of which Alan had performed in. When they reconnected in 2005, they recognized that nearly all of the community theatres in the area focused on musicals. They began to see the need for a theatre designed around non-musical productions. 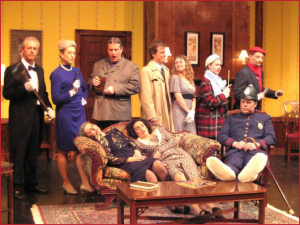 In 2006, they produced, directed, and played in Arsenic and Old Lace as a fundraiser for the Lions Club and it was a huge success. That model was repeated in 2007 with Murdered to Death. But John and Alan realized that to maintain creative control, they needed to be their own company. On January 4. 2008 Kettle Moraine Players, Inc. was incorporated as a non-stock, not for profit Wisconsin corporation. With the added expense that comes with being your own company KMP increased their show offerings to winter and fall. At the same time the arduous process of becoming IRS tax exempt began. On June 22, 2010 the IRS determined that the company was exempt as under code section 501(c)(3) and further determined that they were a public charity under section 509(a)(2). The determinations were made retroactive to the date of incorporation. While all that hard work was happening the company found time to enter productions in the Wisconsin Association of Community Theatre (WACT) state festival. Their first entry in 2009, much to their surprise, won the festival. They entered the next festival in 2011 and won again, becoming only the second company in the 40 year history of the festival to win back to back championships. They have entered every festival since and, to date, are joined only by Fond du Lac and La Crosse in holding back to back state championships. You can learn more about KMP’s awards on the AWARDS PAGE. All of the travelling of shows to festivals taught the company how to travel efficiently which greatly changed how they operated. In addition to presenting shows in their home venue, Lang Auditorium in Campbellsport High School, they sometimes took them for an additional weekend at another venue. To date, KMP shows have been seen by audiences at the Kewaskum Theatre (Kewaskum HS), the Windover Center (Fond du Lac, WI), the River Arts Center (Sauk City, WI), the Theater at St. Norbert College (DePere, WI), the Schauer Center (Hartford, WI), the Al Ringling Theater (Baraboo, WI), the Sentry Theater (Stevens Point, WI), South Bend Civic Theater (South Bend, IN) and the Columbus PAC (Columbus, OH). In 2009, Tom Robbins, Executive Director of the Schauer Center, took notice of KMP’s state championship and it’s shows travelling and invited the company to present it’s October show at the Schauer Center on the weekend after the show opened in Campbellsport. From 2010 to 2016 KMP has had 8 shows seen at the Schauer Center. In 2010 KMP became one of the very first community theatre companies in the state to offer its own online reserved seat ticketing. In 2012, at the request of WACT, they presented a workshop on how to do it for other companies at the WACT educational conference. KMP has directly helped other companies in its area as well. They regularly help Campbellsport Community Theater and the St. Matthews CYO Show which is a high school production. They provided a complete set for a show to Lomira Community Theater and they have provided scenic design, technical direction as well as producer services to both Musical Masquers and the Hartford Players. Their members have directed 3 Musical Masquers shows and, on one occasion, KMP remounted a show and part of a cast to provide a show to Musical Masquers. Through all of its giving, KMP taught other companies that they were all better off as collaborators. 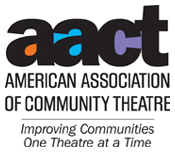 KMP is the only company in the area and one of a few in the state to be long time members of both Wisconsin Association of Community Theatre (WACT) and the American Association of Community Theatre (AACT). Through their membership in WACT and AACT as well as travelling shows and doing their own online ticketing, KMP amassed a wealth of knowledge which it has leveraged to get where they are today. Through online ticketing KMP figured out that almost 67% of its customers came from the south. They also learned that, unlike other companies, only 60% of their customers come from a 15 mile radius and the other 40% travel further, some as far as 60 miles. All of this knowledge, the desire to do more than 2 shows a year, and the realization that owning your own venue was critical to long term survival resulted in KMP’s last and most substantial accomplishment. For four years they searched, watched and patiently waited. In March, 2016 the opportunity presented itself. 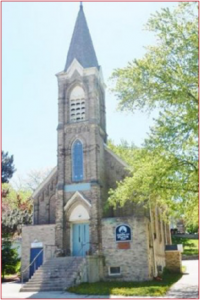 A small and very old church was for sale in Slinger. For six months they studied, crunched numbers, used knowledge learned through WACT and AACT and built a viable business plan to be used if they could acquire it. With their business plan they hit the street and convinced private investors, amassing more than $180,000 in long term, low interest, unsecured private loans. On October 12th, 2016, they purchased the church. The construction is completed, and the Kettle Moraine Playhouse has now finished it’s inaugural 5 show season, having entertained close to 3,000 visitors. What the founders originally thought could happen is happening. A number of correct and very strategic decisions have paved the way, but it was the original wisdom and vision of the founders that set the stage (pun intended). What were the wisdom and vision? It was that the “community” in community theatre was no longer a single town. It was much bigger. 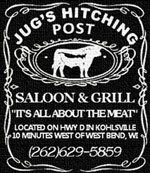 The internet forever changed the landscape and companies that clung to a one town philosophy were doomed unless they had the luxury of being a very large town in a very remote area. How do we know it was original founders wisdom? You only need to look in the very first paragraph of the company MISSION STATEMENT. “Our community is centered in the greater Kettle Moraine area and does not have boundaries.” And there is one other small detail… they named the company the Kettle Moraine Players.